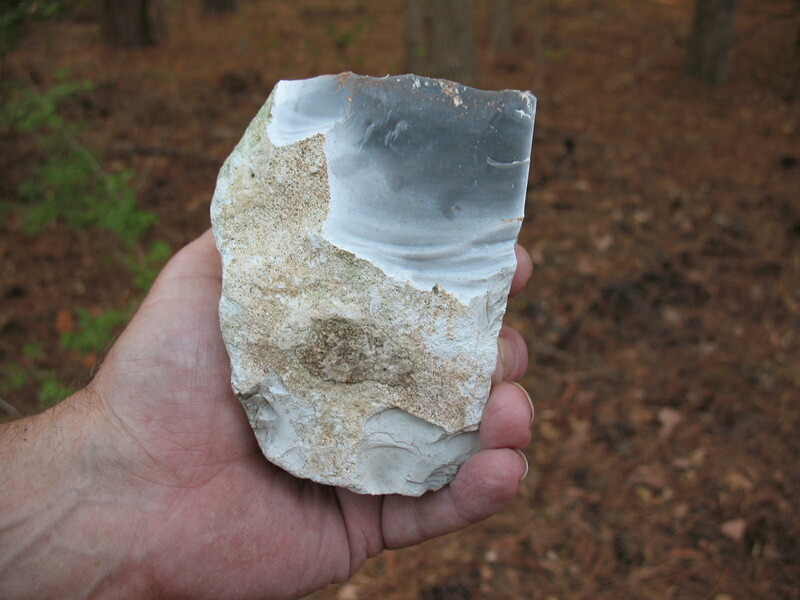 A hand axe is a piece of roughly shaped stone that can be held in the hand and used to cut down saplings or to cut limbs off of trees. 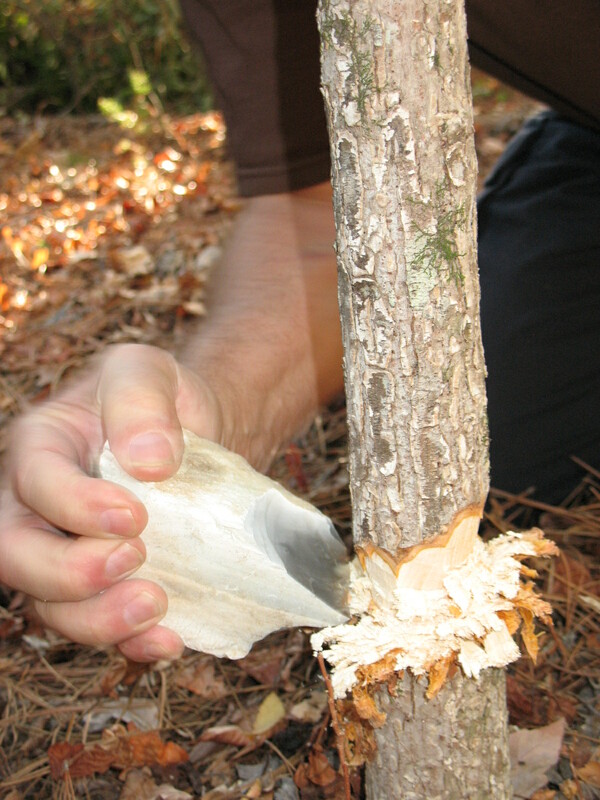 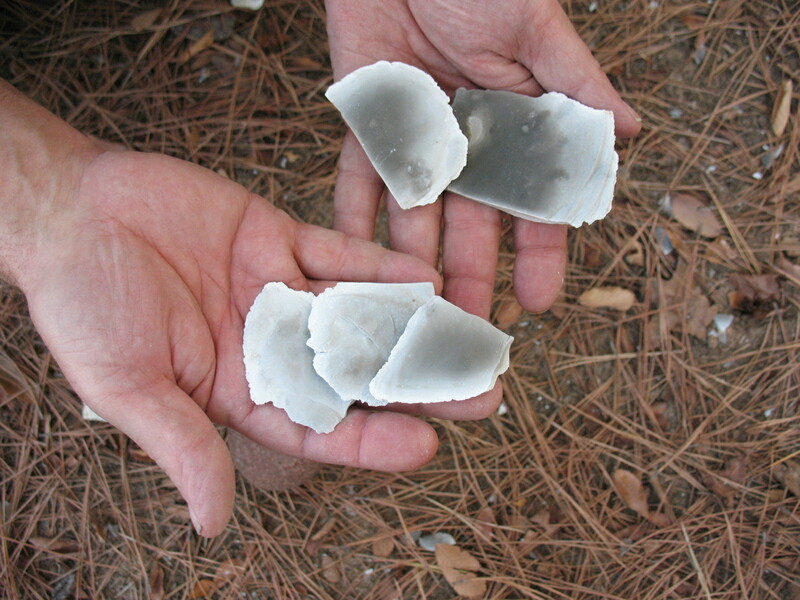 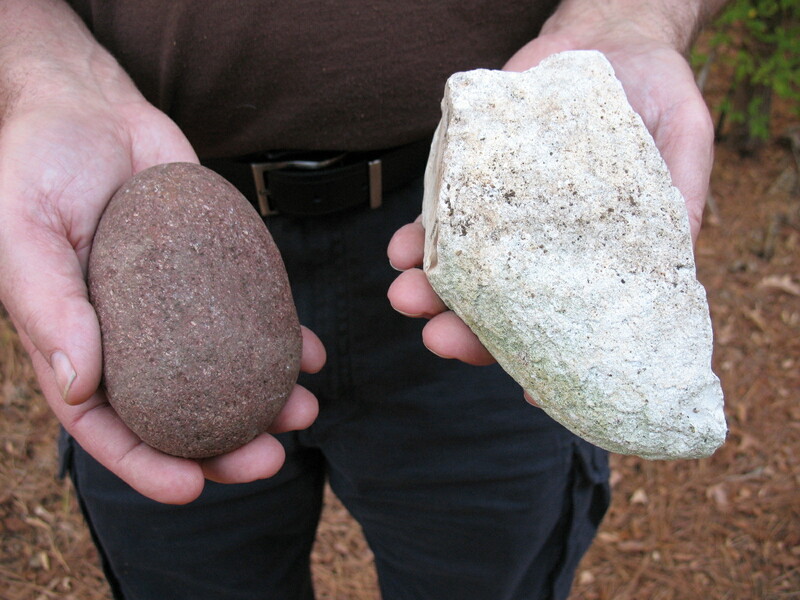 The hand axe is a good basic tool that can be used to make other tools, and the hand axe is easy to make. 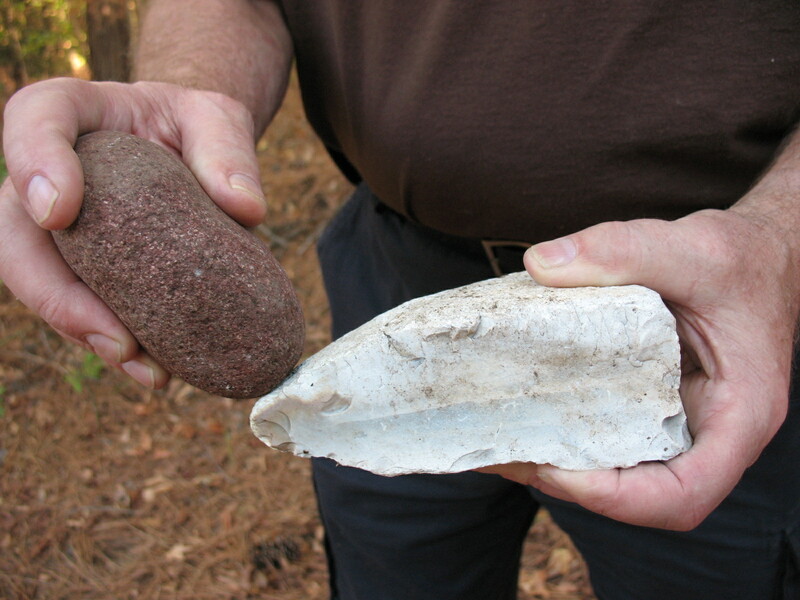 You should now have the beginnings of a crude edge to your hand axe. 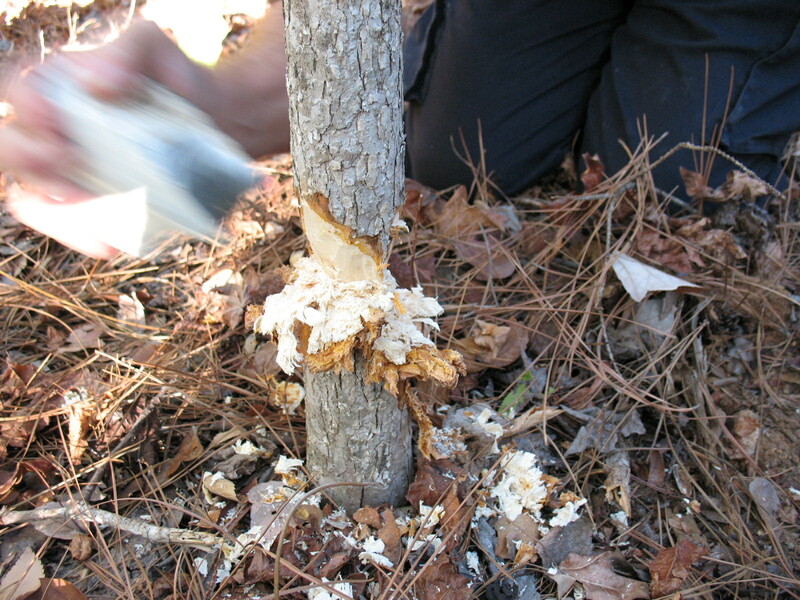 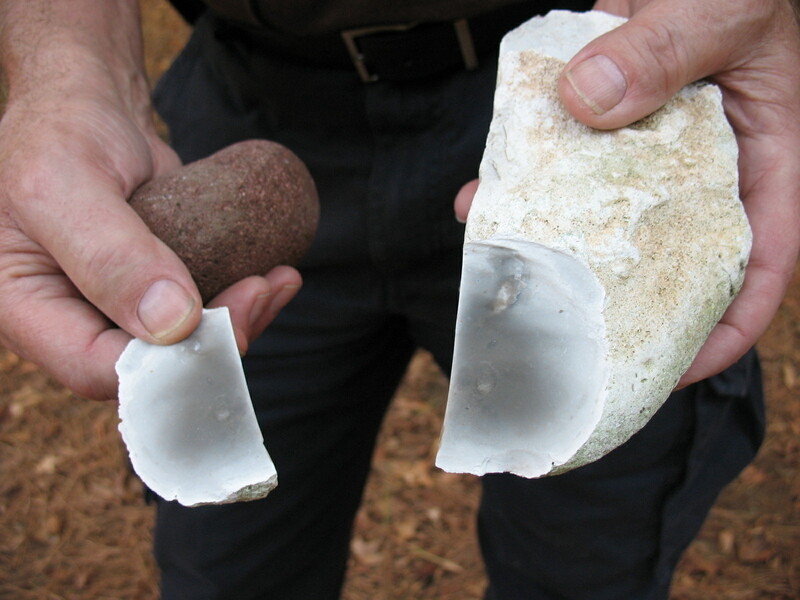 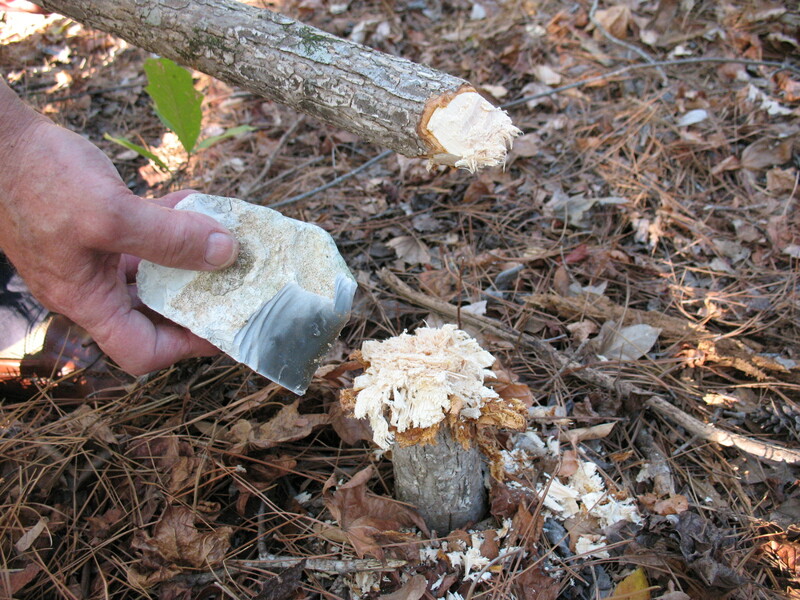 Keep taking flakes off of first one side and then the other until you have formed your hand axe. 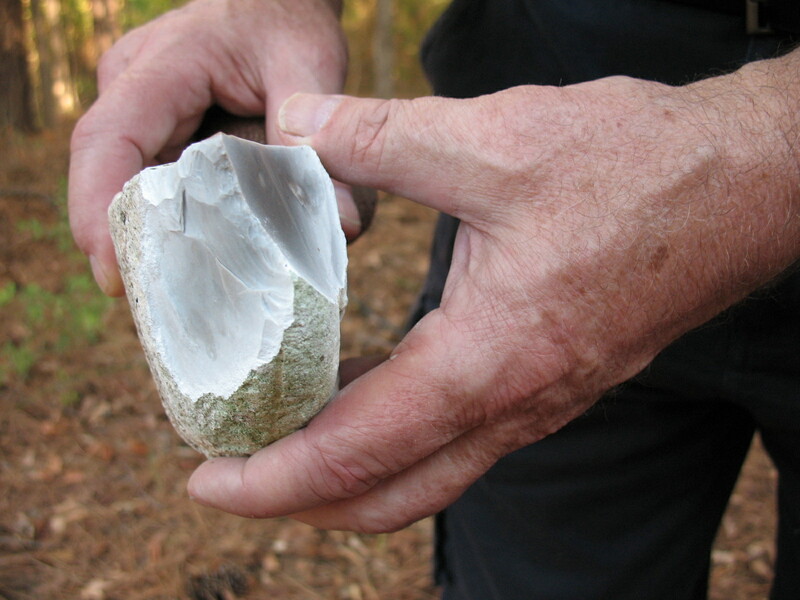 Pictured below: Finished hand axe. 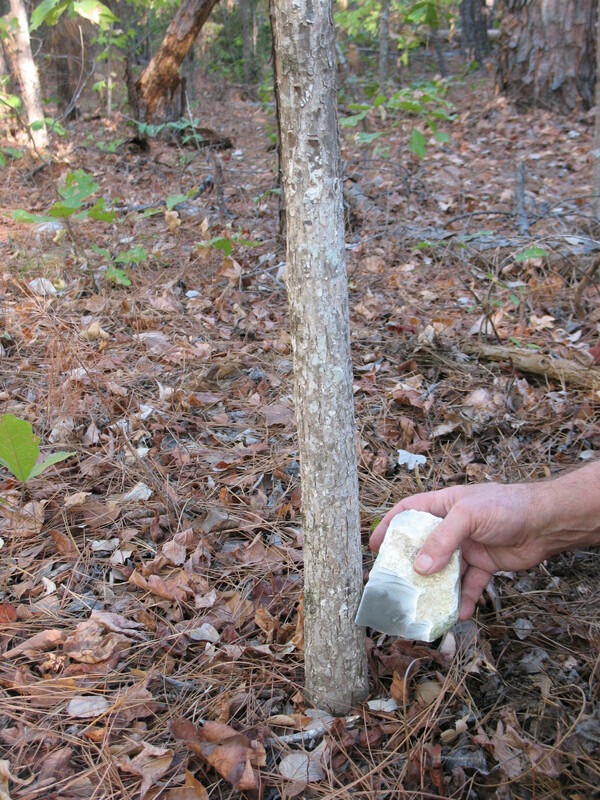 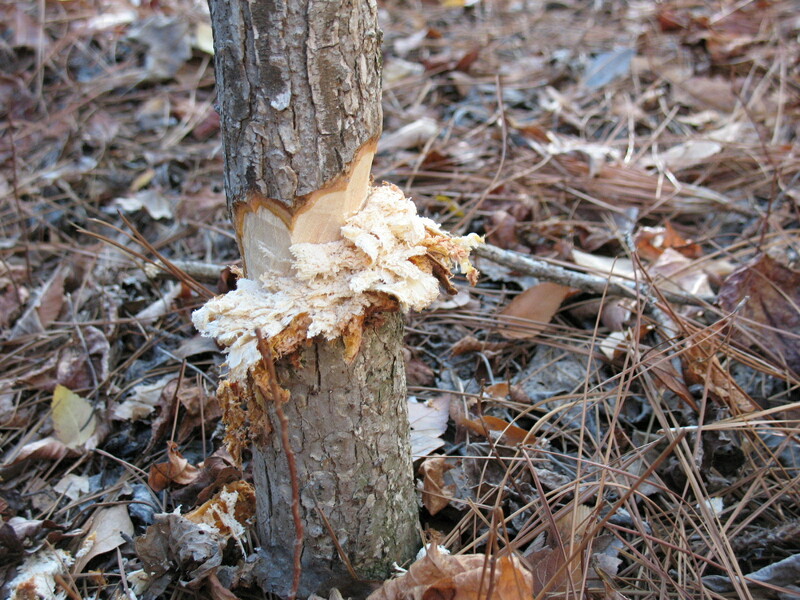 The total time to cut down the sapling was four and a half minutes. 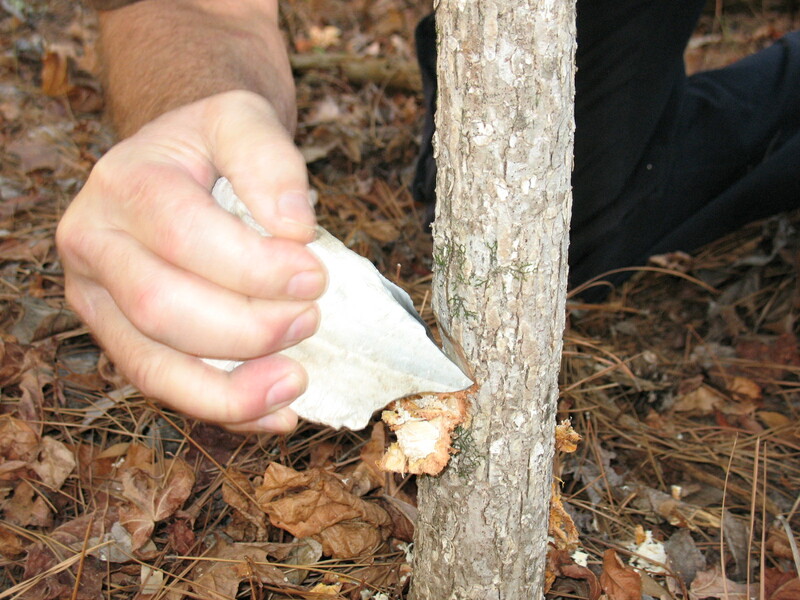 Not as fast as a steel axe, but a heck of a lot faster than you could cut it with a pocket knife, and that’s if you have a pocket knife.